This is a fantastic tutorial created by Lyndsey Haskell from What You Sow, a gorgeous online gardening boutique. 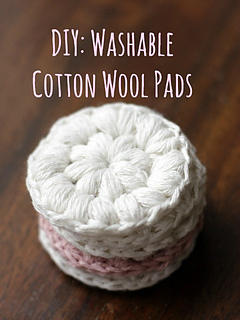 Lyndsey shares how to green your daily beauty routine with these simple and eco-friendly washable cotton wool pads. The pattern can also be found on the lovely Moral Fibres, a UK based sustainable lifestyle blog.